Charles Beddoes Shuker | Launceston Then! Charles was born in 1863 at Hope, Shropshire to John and Anne Shuker. He was one of seven children. 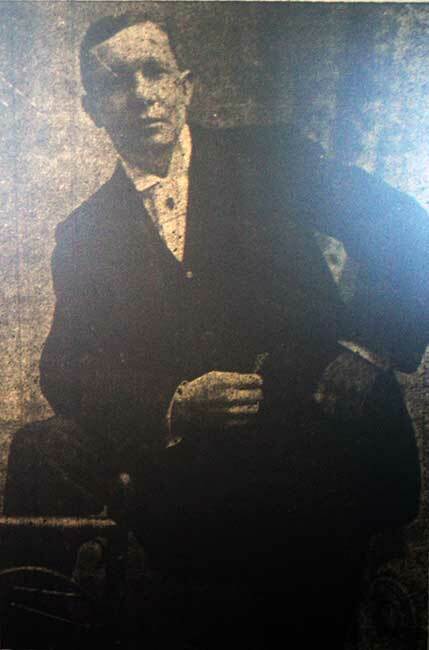 His father was a farmer of 350 acres in Montgomeryshire in 1871. Charles moved to Plympton in the mid 1880’s opening a chemist and grocers shop in George Place. It is here that he met Jane Stephens, sister of established Pympton grocer Henry Stephens. Charles and Jane married on the 11th of March 1888 at Plympton St Maurice Church and soon after they then moved to Launceston when Charles took over the chemist and grocery business of Mr. Pethick. For the first few years the business was run as ‘Shuker and Pethick’ but when he later invited Nathaniel Reed to join him in partnership calling the business in Church street the well known ‘Shuker and Reed’. The business was eventually taken over by Cecil Robins in the early 1950’s before he too sold up to Liptons in the 1960’s. In 1897 Charles was elected to the town council and for three years in succession, from 1901 to 1903 he served as mayor, having the honour of representing the town at the Coronation of King Edward at Westminster Abbey. 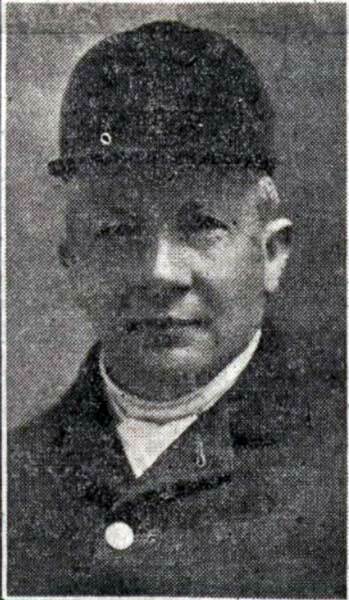 In 1906 Charles retired from the council. 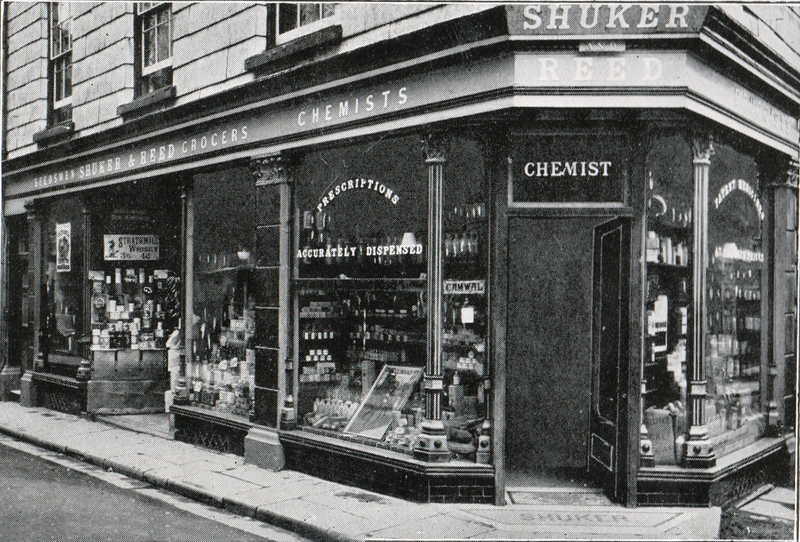 Shuker and Reed, Church Street in 1909. He was regarded as having a very generous disposition being a strong supporter of municipal charities. He helped with the costs of the shelter on Windmill pleasure ground and in 1918 he presented a field to the borough for use as allotments. In the late 1890’s he and his wife bought Hornacott Manor between Boyton and North Tamerton and they both quickly took an interest with the local community being a church warden at North Tamerton for many years. Their particular interest was hunting and for many years Charles held the Mastership of the Tetcott Hounds. 1909 opening of the Tetcott Hunt meet at Hornacott with Jane Shuker on the left and Charles on the right. Charles as the master of the Tetcott Hunt in 1921. In 1920 with his wife, he moved to live at Willistrew near Lamerton, but after a long illness he passed away in the January of 1921 aged 58. In 1923 a stained glass window was unveiled at North Tamerton Church in his memory.